Knowing a little seizure first aid may greatly help someone having a seizure—it may even save their life. A seizure consists of disorganized, electrical discharges of the brain and has multiple causes. If someone has several seizures, their doctor may diagnose them with epilepsy. Managing these seizures requires long-term medical treatment. It is essential to know when an individual has a seizure and what to look for. Experiencing a seizure can be a scary experience for the person experiencing them as well as the people observing it. Knowing what to do can help the seizure victim to avoid hurting himself or herself during the seizure. Some seizures will appear differently from others, so it will depend upon the seizure disorder how the seizures will appear. difficulty breathing and secretion of saliva from the mouth. Do not attempt to move the person having a seizure to another location, since this may injure you, the person having the seizure or other bystanders. Do not leave the person having the seizure. Stay with them until the seizure stops. Look for bracelet tag and contact information for contact information or verification that the individual has epilepsy. Protect the individual from any kind of injury. You can do this by moving chairs or other hard objects away from the person. Do not attempt to open the mouth and put anything in the mouth, since this could pose a choking hazard or you could injure yourself. Gently put a soft pillow under the head to prevent injury to the head during the seizure. Carefully and gently turn the individual to their side and allow any fluid to come out of the mouth. Do not attempt to give anything to drink or eat while the person is having a seizure. Seizures usually last for a short period of time (1-2 minutes). 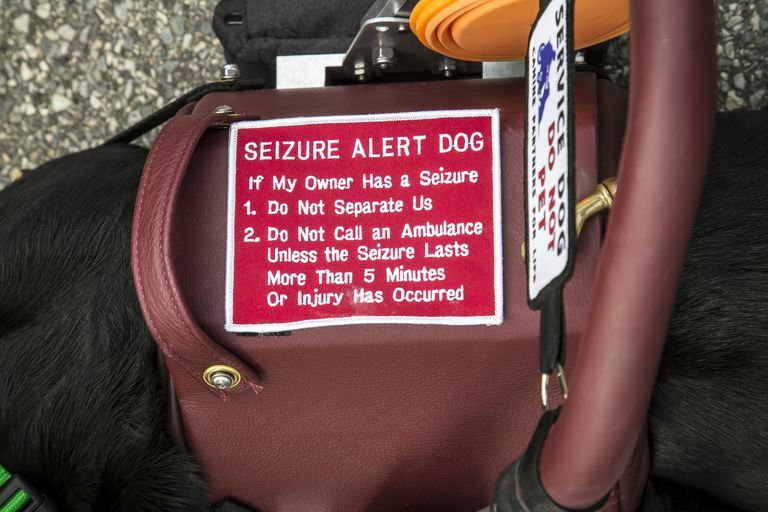 If a seizure lasts longer than about five minutes, you should call an ambulance immediately. How Common Are Epilepsy and Seizures? Epilepsy and seizures can occur in any person at any age. According to the Epilepsy Foundation, 1 of 26 people develop seizures during the course of a lifetime. Furthermore, about 1 of 100 Americans have been diagnosed with epilepsy or had a single unprovoked seizure. O’Hara KA. First Aid for Seizures: The Importance of Education and Appropriate Response. J Child Neurol 2007; 22; 30S.